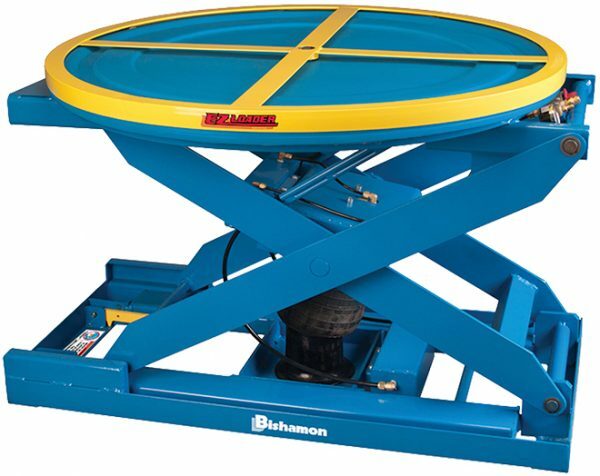 One adjustable model will handle most of your pallet loading / unloading needs! Integral maintenance blocks n EZ Loaders arrive at your facility fully assembled – just add air! EZ-LOADER Standard powder coated finish 20″ 4000 lbs 250 / 3500 10.5″ / 30.5″ 500 lbs. EZ-LOADER-E FDA compliant powder coated finish with stainless steel round top 20″ 4000 lbs 250 / 3500 10.5″ / 30.5″ 500 lbs.